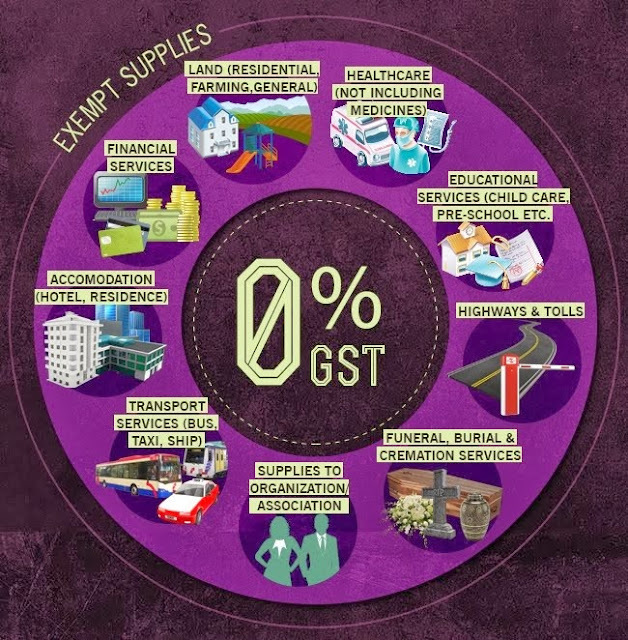 Some people say that the implementation of the GST is premature in Malaysia as we have not achieve high income status yet. I say, the time is now. If we think we are not ready yet, we'll never be ready for it. Not in five years' time and not 10 years later. It is good for the country and everybody will be contributing to the government's coffers. As it is now, only the working class and those with reportable businesses are paying tax. The more important question (at lease to me) is how efficient and transparent would the billions of Ringgit collected be spent. Everyone should enjoy the benefit of the government's better financial standing as a result of GST implementation. Not just some selected few. 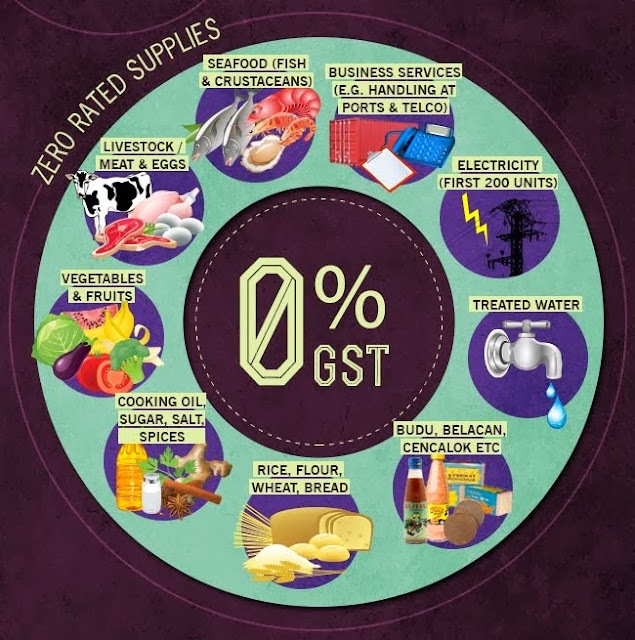 Zero rated supplies include major essential goods such as foodstuff and utility services. Essential services are also exempted, meaning you should not experience increase in prices of services rendered after the implementation. The other big question is how stringent will the enforcement be. Traders will tend to increase selling prices citing GST as reason when in actual fact they remain similar or lower. Spend money on public education, monitoring, and enforcement - prosecuting those violating the law.